Fourth child of ALLAN and MARY. GEORGE: "I'm not going to school any more, Dad." DAD: "You can change your mind about that lad." GEORGE: "No Dad I'm not going any more." DAD: "Alright, what are you going to do?" GEORGE: "I'm going to be a carrier." DAD: "You're sure of that, it's hard work." GEORGE: "I can do it." DAD: "Well, I'll tell you what you can do. When you can show me that you can harness the horse and put it in the cart without any help you can leave school. Until then you go to school." George promptly departed to the harness shed and appeared with the winkers and marched of to catch the draught horse. His father, knowing the size of the horse and the boy, just smiled and said nothing. George arrived back with the horse and proceeded to harness it. Putting the collar and hames on would be quite a job for a boy of his age and size but Dad did not allow for ingenuity. George returned to the shed and produced a butter box on which he stood in order to complete the job. Putting on the rest of the harness, he backed the horse into the shafts of the cart and coupled it to the harness. Turning to Dad he said "There you are, Dad, you see I can do it so no more school." Dad then smiled and said "All right son but I have two things to say to you. First the horse and cart are yours, but after that you are on your own. You are now a carrier working for yourself, and you keep yourself, finding your own work and paying your way. So George became a carrier, working like his father from the railhead to Warialda. Apparently at this time the family base was Aberdeen as some of the children were born there. He was to continue in this role for a number of years, putting together a good team of horses of which he evidently had a good knowledge and could choose well. When he secured his own block of land, he bred his own horses and his team became well known throughout the north west. The family as a whole were well known for their horses, apparently their father had taught them well. Eventually George took up a selection on Gounama Station in the Mosquito Creek area of Warialda, adding to this until finally he had 2000 acres. May: born 19 Oct, 1906. James and Fan agreed that there were two other births, probably stillborn, between Fan and Mary but there is no official record of these and neither could throw any light on this as it was not discussed, even with the family. There was also another member of the family, Alice, who was born in 1892. She was, as far as can be ascertained, one of triplets born that year. Just what the story is, is not clear but George and Agnes took Alice when they were married and brought her up as one of the family. She was never officially adopted but lived with the family until she married and was known to all George and Agnes' grandchildren as Aunty and her children were always regarded as cousins. 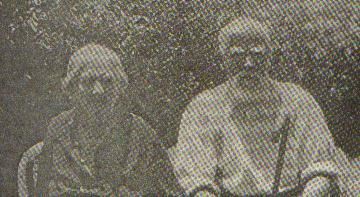 In March 1906 George sold his property at Warialda for one pound per acre (2000 pounds) and went to Goondiwindi to look for better land. Negotiations broke down and he managed to buy the property, "The Plantation" on the Whalan Creek, seven miles south west of Boomi, of 4000 acres. Additions were made over the years till it was built up to 7500 acres and this became the Burling home, George living there until 1927 when eldest son, James, bought it from his father. George, Agnes and their three younger daughters moved to Moree, where he purchased the property "Wilga", today the home of the Success Hereford Stud owned by the Kirkby family. In 1935, Wilga was sold and George and Agnes retired to Moree where they lived till their deaths in 1944, Agnes dying in July and George in October.